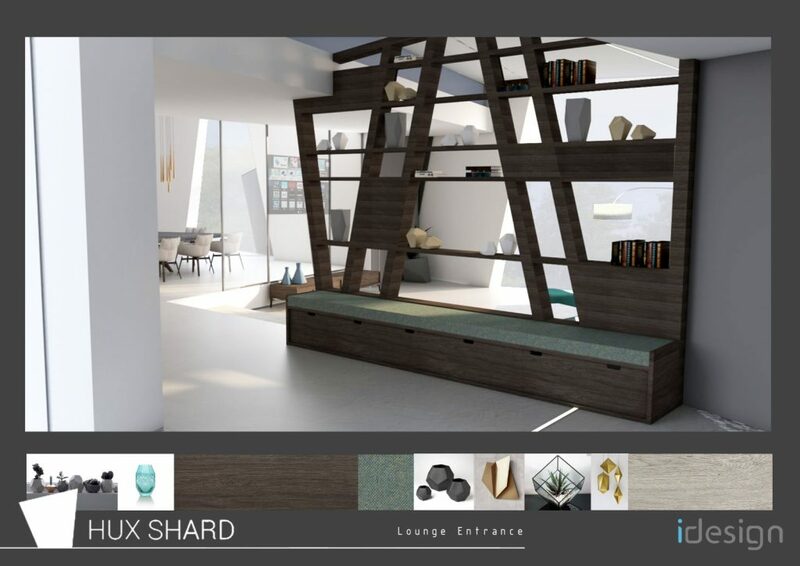 Hux Shard is a collaborative project bringing together many talented designers, consultants, fabricators, tradesmen, suppliers and contractors. You can view the core design team by clicking here and the main contractor, Valley Construction. This list will grow as the project progresses. Some services have already been confirmed and others are in the process of procurement. 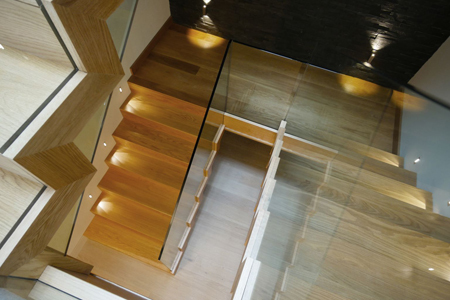 For over 15 years, Amos Lighting has been transforming living space with light. 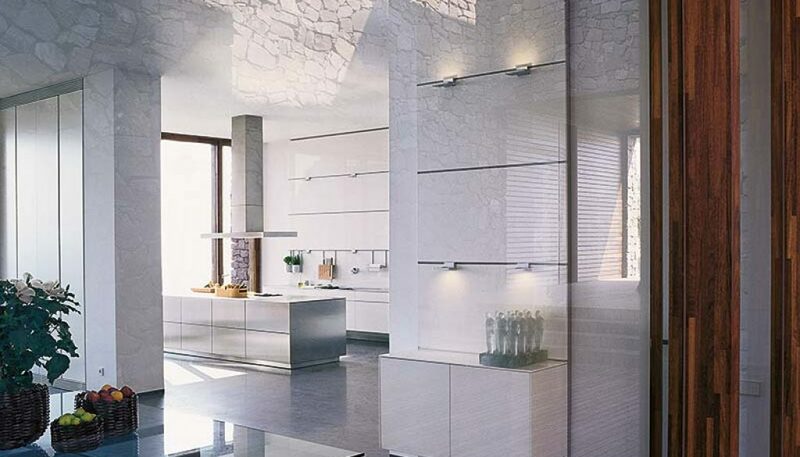 David Amos has over 35 years’ experience in lighting design and our team works across the South West delivering informed and breathtaking solutions for their customers whether they be the home or business owner, the architect, interior designer or building contractor. Material, aggregate and plant supplier. 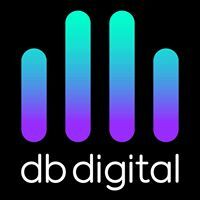 DB Digital has been established for over 10 years in Exeter designing, installing and maintaining audio visual and smart home systems. We work closely with several incredible builders, architects, designers and electricians to help us deliver well thought out and immersive systems which can cover a single room to a fully connected home. We can automate heating, lighting, cinema, audio and security controls so they can all be accessed on one screen, controlled by voice or even adjusted automatically according to your location. This means no more searching for different remote controls, no more jumping out of bed to turn the heating down, no more lights left on, no more worrying whether you locked the door or not and a whole lot more peace of mind, energy saved and time for you to enjoy your home! Devon Concrete SW Ltd was established in 2007 and is growing year on year. 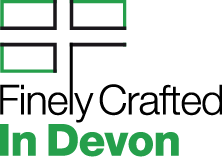 Our depot in Crediton gives easy access to all of Devon, parts of Dorset and Somerset, at very competitive prices. All loads are metered and batched using our modern computer controlled plant to ensure the highest quality, accuracy and quantity. Same day / next day deliveries available. We are happy to provide an out of hour’s delivery service by prior arrangement at reasonable rates. Devon Concrete uses pure Ordinary Portland Cement (OPC cement). 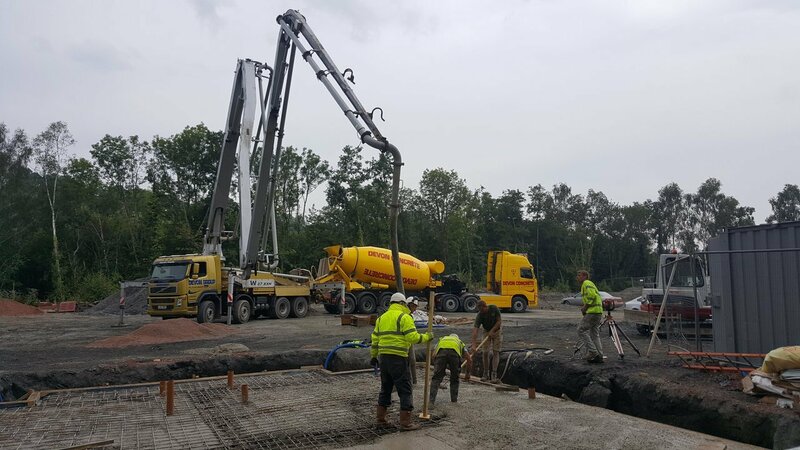 Devon Concrete works closely with our Consultant who has over 40 years’ experience in the industry, therefore we are able to issue Certificates of Mix Design when required. Access to a site can be difficult, there can be a number of logistical problems, but if in doubt, we can visit the site, no matter how small, to give advice. Your enquiry, no matter how large or small will be dealt promptly and professionally. We offer you the benefit of our experience with free technical advice on every aspect of concrete production and supply. Hydropool are the longest established and dedicated hot tub company within the UK, Hydropool are known for quality therefore select the finest materials for building all hot tubs and Swim spas, developing the latest technology and innovations and invest time with their customers to ensure an unparalleled service. Hydro-Rod (KJ Howard Civil Engineering Ltd) is a 3rd generation family run business formed in 1973, to provide a one-stop shop for all your drainage and sewage disposal problems. Their skilled engineers and fully equipped vehicles are able to solve any problem on or off site. Based in Exeter, Devon which gives good access to the M5 motorway and A38 for quick delivery of drainage services to Cornwall, Somerset and Dorset. idesign is an enthusiastic, friendly, and versatile interior design practice providing beautiful and workable interiors for a variety of spaces, both in the UK and abroad. As a small team of committed designers, we are adaptable and care deeply about providing the highest quality of service, ensuring the best result for each and every one of our clients. idesign expertly leads its clients throughout the entire design process, from initial conception through to final installation. This includes giving advice on space planning, decorative scheme, finishes & materials, furniture sourcing, bespoke joinery, lighting & small electrical planning, soft furnishings, window treatments, and art & accessories. The team has both the practical ability to provide all the technical solutions and drawings required by contractors, and the creativity and style to put together beautiful interiors. idesign is thoroughly enjoying its involvement in the design of the Hux Shard interiors, and it is a joy to design for such a special space. Although we are treating this as a commercial project, paying tribute at all times to the house’s sculptural form, we understand that first and foremost this is to be a gorgeous family home, in which its owners will love spending time with their children. With branches from the Scottish Isles to Penzance, you’re never far away from great service, expert advice and the highest quality timber, building materials and services from Jewson. 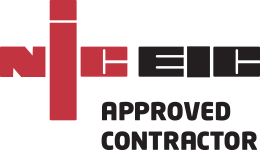 MEC Facilities Limited was established in June 2016 and is a Mechanical and Electrical Contractor working all throughout the United Kingdom with over 40 Years’ Experience. We value the importance of our workforce and our customers this in turn will allow us to provide a quality service that builds on our existing relationships as well as forging relationships with new clients. All our employees are City’s and Guilds time served and we Hold all the required Governing body accreditations – NIC EIC Approved contractor, Gas Safe Registered, Safe Contractor Scheme. We are involved in large Mechanical and Electrical Installation projects across the south west currently and have steady workforce of 20+ Employees. Sapphire Spaces is synonymous with high-end kitchens, bathrooms, living spaces and furniture along with cutting edge design and caring customer service so are delighted to be assisting Joe, Claire and the team on the exciting and innovative Hux Shard project. Our 6,000 square foot showroom is conveniently located just off the M5 near Exeter and features a beautiful range of kitchens from the exclusive kitchen manufacturer bulthaup as well as an array of bathrooms and wet rooms from a variety of brands such as Armani, Toto, Lefroy Brooks and Laufen’s collaboration with Alessi and Kartell to name just a few. We also have a show-stopping wine cellar and are home to collections of iconic furniture by Vitra ,Carl Hansen & Son and Republic of Fritz Hansen. We will shortly be welcoming another well known and beautiful furniture brand to our showroom so watch this space! 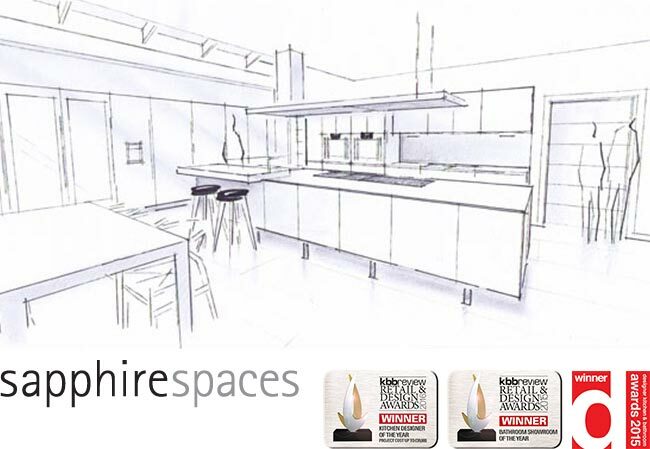 At the very heart of Sapphire Spaces is our wish to create to the perfect space for you, be it single room renovation, a refurbishment covering several rooms or a complete new build. Our design team will listen and learn about your project, get to know your thoughts and find out what is on your wish list so we can really establish your individual requirements in terms of function, aesthetics and budget. From your first consultation in the showroom through to the final finish our design directors Mark Newbery and David Aspinall personally oversee your project to ensure that your investment is one you will love for years to come. Single Ply Structures Ltd offer a complete roofing solution covering various aspects of roofing works to the new build and refurbishment markets for both commercial and residential sectors. They operate in the South West and pride themselves on their directly employed local workforce and ability to manage projects in house, thus avoiding subletting contracts and enabling them to offer their clients competitive quotations that they personally manage and maintain control of from start to completion. SunGift was founded in 2005 by clean-energy enthusiast, Gabriel Wondrausch. When SunGift began there were only a handful of renewable energy specialists in the country and SunGift was one of the first to be accredited under the Microgeneration Certification Scheme (MCS). Gabriel is driven by his belief in sustainable energy and its place in our future and, following his lead, SunGift is well renowned and highly trusted within the industry and by its customers. Tesla, Inc. (formerly named Tesla Motors) is an American automaker, energy storage company, and solar panel manufacturer based in Palo Alto, California. Powerwall integrates with solar to harness the abundant power of the sun and reduce our reliance on fossil fuels. 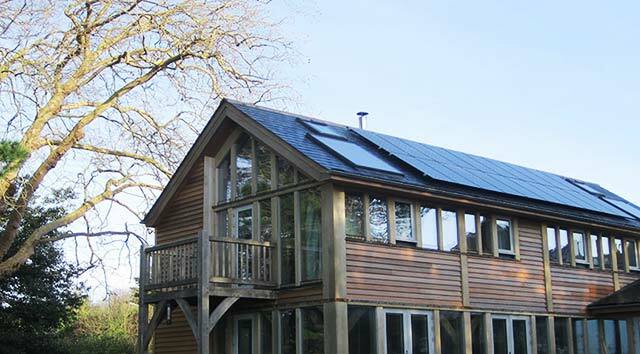 Store solar during the day and use it at night to self-power your home and even go off-grid if you like. Timoleon is a progressive manufacturing and technology company. Their business specialises in the built environment, creating products, systems and services that help customers create the perfect indoor conditions where they work, play, and live. Their complimentary heating and ventilation technologies integrate into a single whole house system with controls that manage all the technologies together in a simple intuitive way. Main contractor to the Hux Shard project and general builder in the Exeter area.